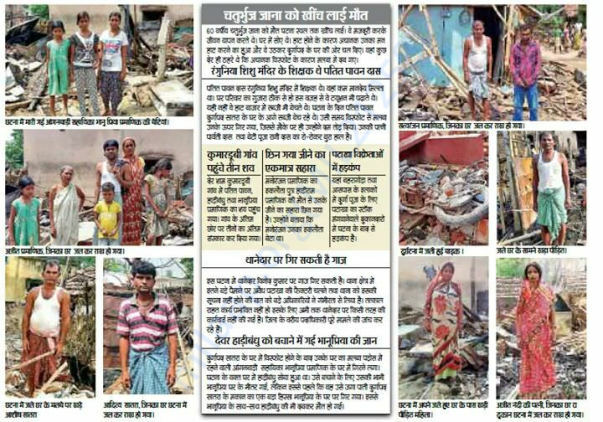 On 24th September,2017 around 4:30pm in the evening fire broke out in an illegal firecrackers factory in Kumardubi village near Baharagora, of East Singhbhum district in Jharkhand which caused too much destruction, and many people whose houses were nearby got burned, 9 people died in this accident, many innocent and poor people lost their home and has nothing left. 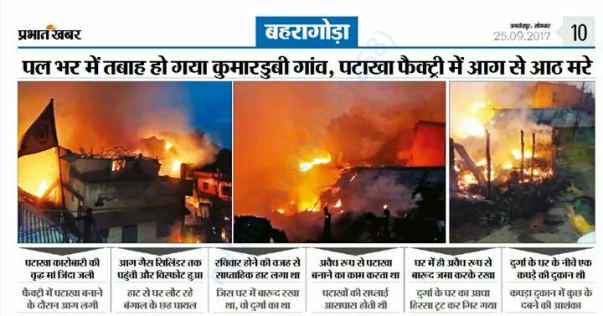 The people who were involved in the illegal factory flee from the spot after the fire broke out, but other poor and innocent people whose houses were near by came under this fire and burned down to ashes, 3 people were at their houses at that moment but couldn't escape and they died in there. 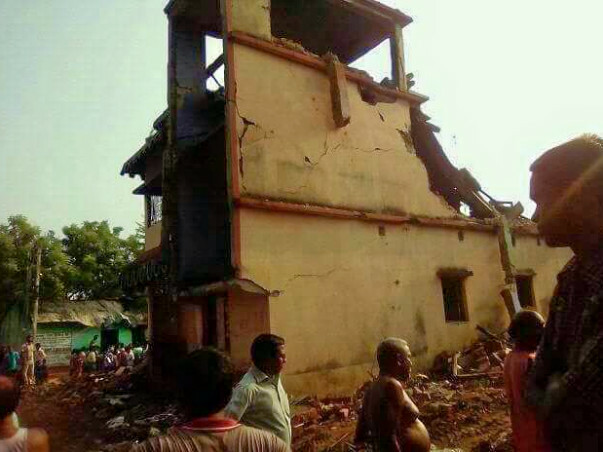 There was a market in the village at that time, shopkeeper who were sitting near to the building also came under the collapsing building and 4 people died in there. 7-8 peoples house burned in this accident and now they don't have a place to live, food to eat or clothes to wear. 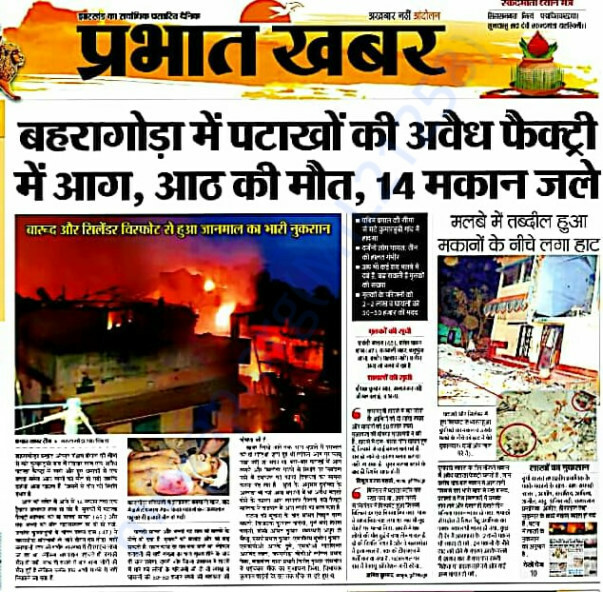 All those who suffered in this tragic accident are all innocent, poor , day to day workers, who had nothing to do with the work of illegal firecrackers making. Those involved in the illegal process had earned in millions of rupees over the year and they ran away from the spot after the accident occured. Police has released arrest warrant against all the culprits and now searching for them, meanwhile these innocent people are still suffering. Government has promised to help them but so far no real help has been provided and also that will not be enough for them to start a normal life. We are trying to raise some help for these peoples and trying to ease some of their pain. Any help will be appreciated, if you need to contact us or need any information contact with us on Facebook. Blast in illegal firecrackers factory,many innocent died. Many houses of innocent burned to ashes. We are keeping this campaign running for the time being, we will try to withdraw the fund and give the money to the everyone who were affected by next month. The people who were affected have received some help from the government and those whose houses were burnt have received houses from government as well but the houses are yet to be built, the work is expected to start soon, the people's are staying in other people's house for the time being.